This will allow use to calculate side b. With a simple modification you could also easily make it calculate side a instead. It is also possible to write a sketch that will take any two sides and give us the third. This is an "if" function. It asks the questions, is this true? In this case it is asking if a equals zero. We must use double equal sign to ask do these two equal each other. One of the most common mistakes is to use a single equal sign here. The single equal sign will not ask the questions is a equal to zero. It will instead change the value of a to be zero. If the statement in parenthesis is true then the code in the curly braces is run. If the statement is false then the code in the curly braces is skipped. You may also have noticed that the "if" line does not end in a semi-colon. This is true of any line that is immediately followed by a set of curly braces. 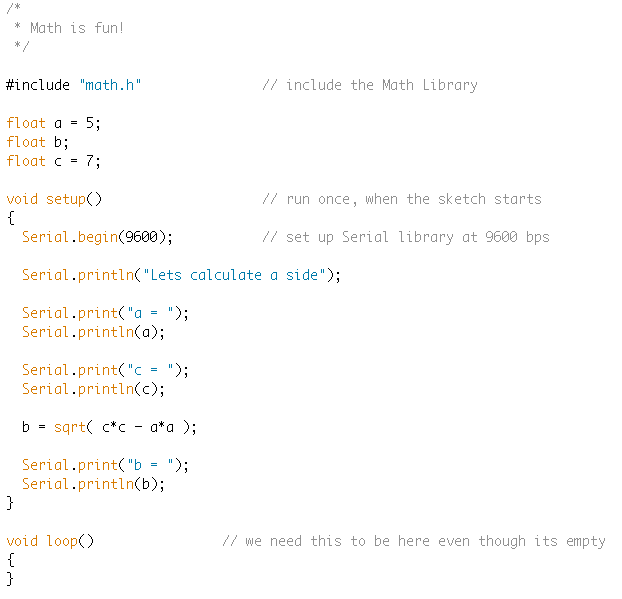 You'll notice neither setup nor loop are followed by semi-colons either. The double equals sign is a comparison operator. In the table below are the other comparison operators you can use with an if statement. Would be true if either or both statements were true. You might also want to investigate else and else if. This can be another way to ask multiple questions at the same time. 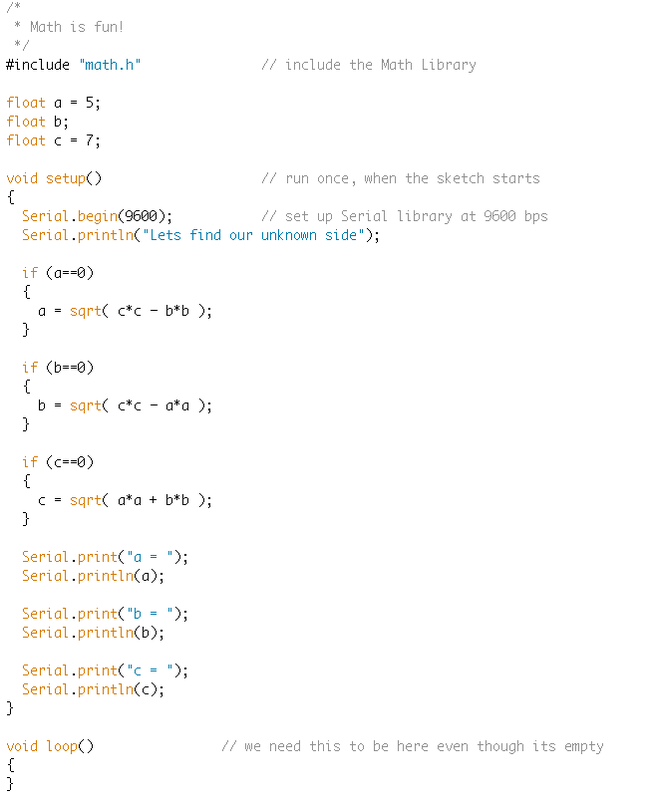 For more detail on this you should check out the Arduino Reference entry on Else.